Creative Agency: Offshoot Design Ltd.
Offshoot have worked closely with the newly formed Beinn An Tuirc Distillers creating design, branding and promotional collateral to ensure the product was ready to stand out in the very competitive gin market! The journey began by creating a brand identity, which embodied the meaning of the name. Beinn an Tuirc (meaning ‘hill of the wild boar’) is the highest hill on the Kintyre peninsula, and is situated within Torrisdale Estate. This is an area of rich local history felt keenly by the client, whose family have resided at Torrisdale for hundreds of years. 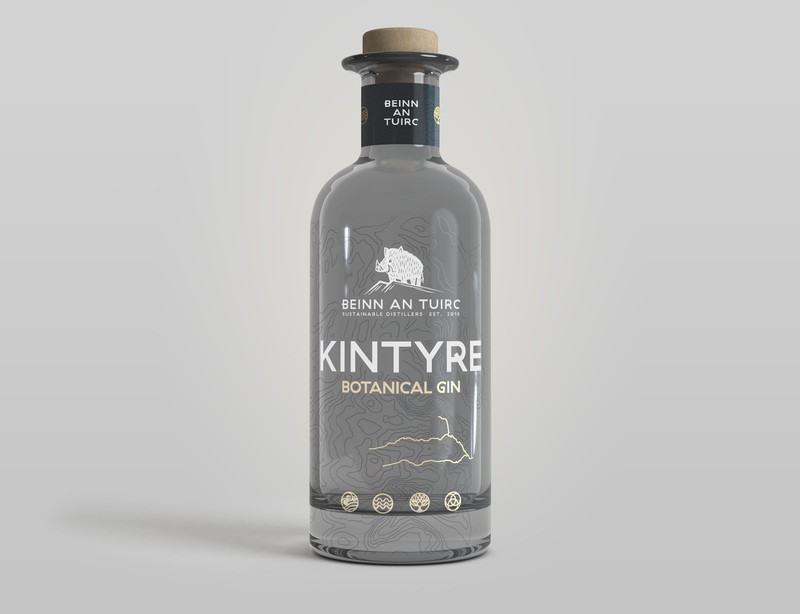 Some research into the peninsula’s history revealed that Kintyre was once ruled by the vikings, and so a typeface with Scandinavian influence was applied. As the gin is sourced, distilled and bottled on site, it was also important to convey a strong sense of location. 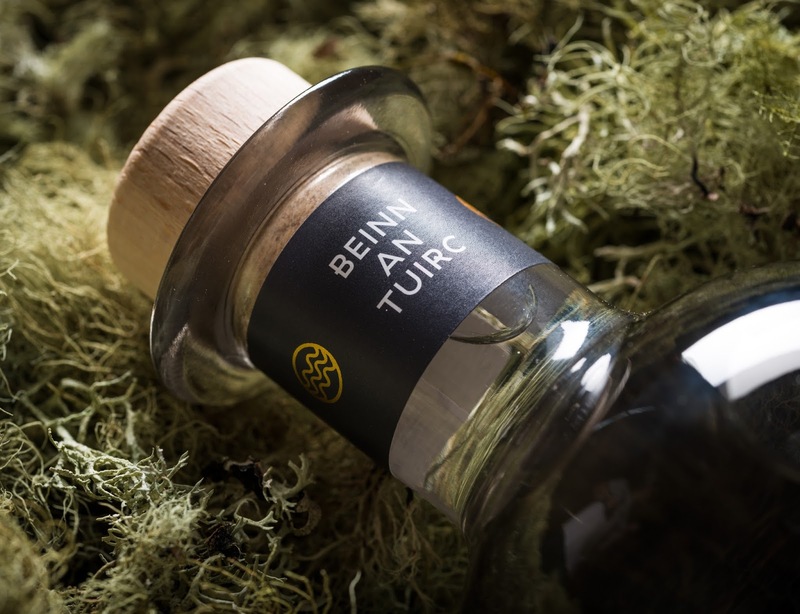 The local geography is directly affected by the character of the environment as well as the taste and production of the gin, so this was communicated in the brand. 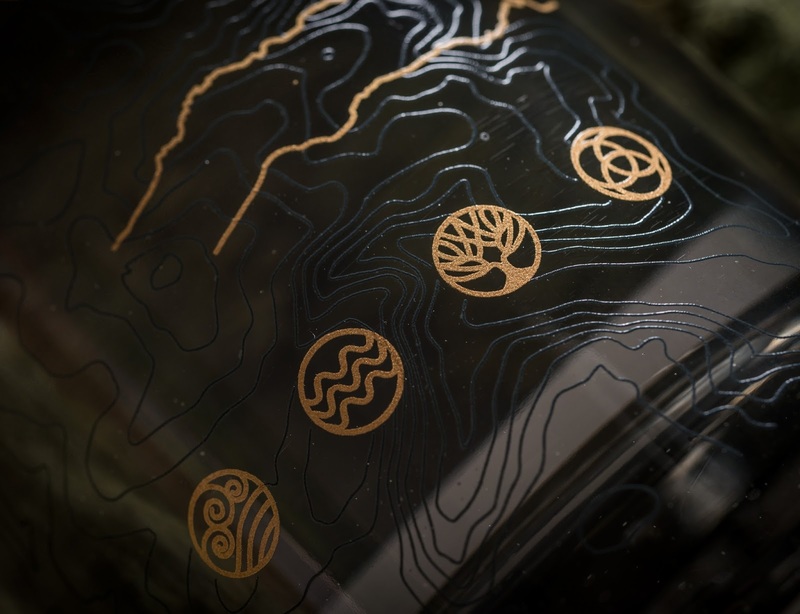 Topographic contour lines of the hill itself gracefully adorn the bottles, weaving in and out of the other brand elements. Research had helped us capture the spirit of the product. From there Offshoot went on to create elements for packaging, web, print, exhibition, social media, vehicle livery and attire as well as photography. 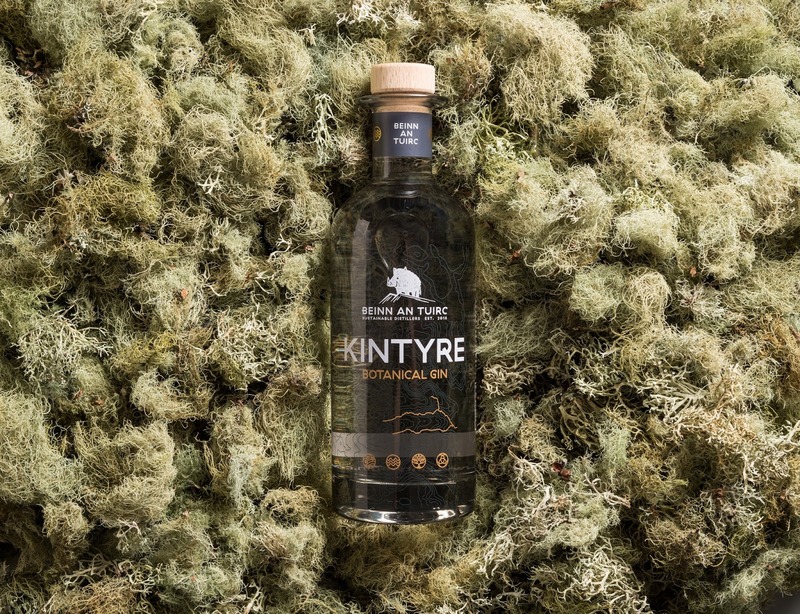 The distillery’s green credentials are unique. It is powered entirely by their very own 99kw hydroelectric scheme and uses botanicals from the hill, the fertile land and sea. 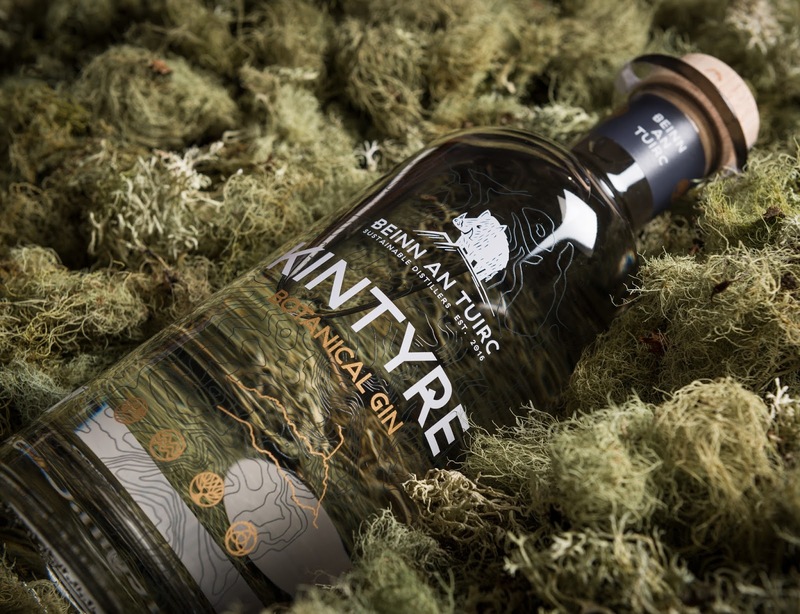 This small batch gin is created entirely from Scottish nature. 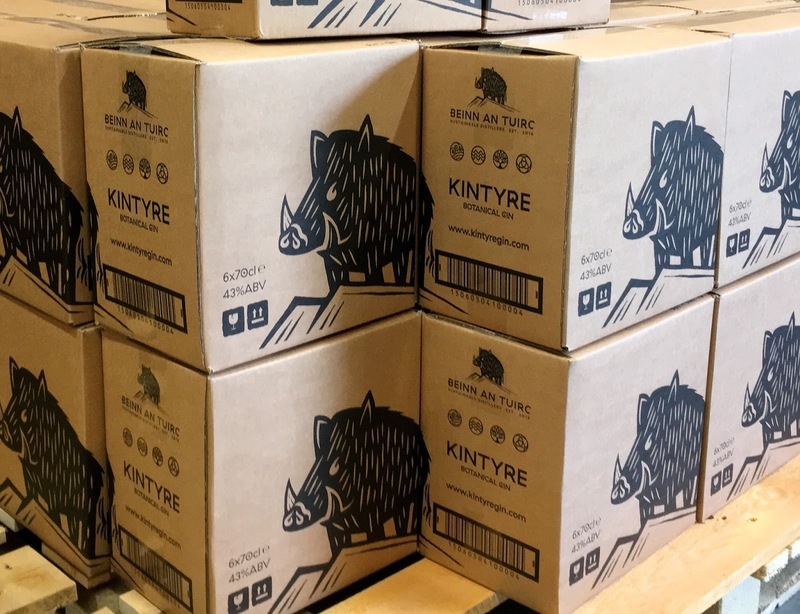 A conscious decision was made that the packaging should reflect the environmental credentials of the distillery so the bottle itself uses an organic screen printing process. This means no heavy metals, 100% recyclable and eco-friendly. Indeed, the 'life' of the spirit - the Lephincorrach burn, where the local spring water is sourced and the hydro power is generated - is proudly highlighted in gold amongst the contour lines on the bottles.